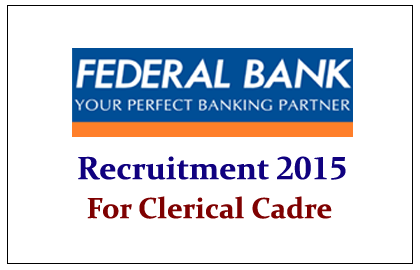 Federal Bank has announced recruitment notification 2015 for the Clerical Cadre. Eligible Candidates can apply for this post from 23rd February 2015 to 5th March 2015. Any Graduate in recognized university. Candidates will be selected in three stages, Aptitude Test, Group Discussion and Personal Interview. Eligible Candidates can apply online for this post by clicking the link given below or through the banks website:www.federalbank.co.in.